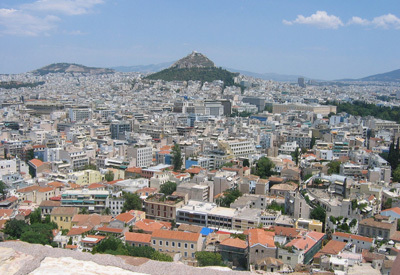 The city of Athens is the capital of Greece. It has a population of over three million, and is regarded as the birthplace of Western civilization. It is widely known for its magnificent architecture. Athens is famous to tourists for its many ancient buildings, as well as, historical museums. The Acropolis is a very popular tourist destination in Greece. Many temples for the Greek goddess Athena are found here. However, it is advised that tourists visit the city during spring or late autumn, since it can be very hot during the summer. But the Athens and Epidaurus Festival is worth attending even if the summer season is really dry and hot. And on Easter weekends, many people join the Easter Vigil procession which is also an attractive religious site. Then, the tourists can travel around on buses, trains, metro, cabs, or on foot. Bicycles are not good options because there are not enough lanes. Athens is also a fairly noisy and busy city. So, whenever one wants to relax far from the noise, they can have a nice walk in the National Garden. Also they can visit some of the major museums, such as the National Archaeological Museum and the New Acropolis Museum. Tourists are advised to try the native souvlaki, which is grilled pork or chicken. O Thanasis and Savvas are two of the best souvlaki places. But a tzatziki is good food too. It is basically a yogurt with cucumber and garlic. These foods are wrapped in a pita which is a very thin piece of bread.. The Temple of Hephaestus and the Temple of Zeus are great landmarks to see. However, there are very few malls in Athens. But the shopaholic tourists may go to Plaka, Kolonaki, Ermou Street, and Kifissia for their shops and souvenir stores. Or they could head off to the beautiful beaches on nice days. And if they like to drink and party, Psyrrí is the place to go. Numerous clubs and bars can be found here. Athens’ finest bar, Balux, is also where the trendiest people go to party. But plenty of clubs can be enjoyed along the beaches during summer too. Then, after a tiring day, luxury hotels are the best places to sleep.